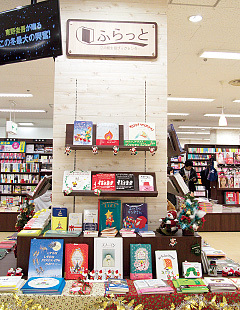 We aim to be a bookstore that invites everybody to come in (or furatto in Japanese) with calm tone yet bright atmosphere. 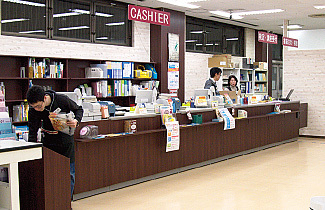 Kinugasa Campus Co-op Bookstore at Ritsumeikan University was re-opened in 2013 as Book Center Furatto. 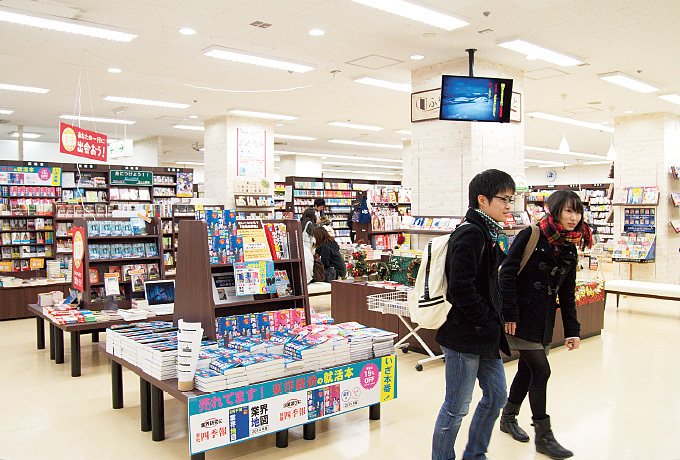 15 years have passed since the last renovation of this co-op bookstore. 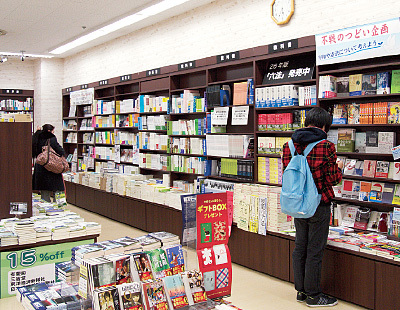 Students stated their opinion on the bookstore, saying that the bookstore is dark, unlike a bookstore, and that it offers what they need, but not what they want. At the Annual General Meeting in 2012, it was decided that the old Zonshin Hall Book and Service Center is going to be renovated. 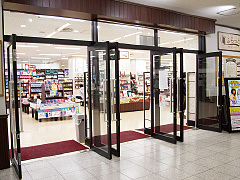 The concept of the new store is as follows: 1) A store that invites everybody to come in; 2) A special corner for textbook will be established in the store, leading to efficient textbook sales, which eventually results in high variable sales floor. The new bookstore aims at becoming a “bookstore in your neighborhood”. With this concept in mind, the Student Committee chose its walls, furniture, floor color, as well as signboard at the entrance with an emphasis on the using of wood grain. The co-op staff thought the store layout thoroughly based on the current product analysis. 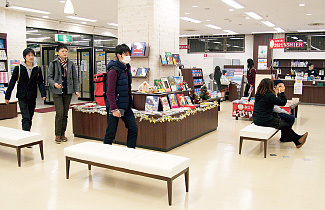 When it was re-opened, students said things like “It’s now like a bookstore!” and “It’s totally changed!” The renovation has been highly acclaimed. On the other hand, many graduated students criticized the new bookstore as an on-campus bookstore, but lacking specialized books. After hearing their wish to increase the number of specialized books, we made a new book corner for specialized books. This is part of an effort to have a variety of products that meets the members’ dynamic demands.